The Mouse Connection: Back to life, back to reality... Not really, let's talk vacation planning! Back to life, back to reality... Not really, let's talk vacation planning! Now that the rush and madness of the holiday season is over, it is time to get down to some serious business...planning your next Disney Vacation! We have had a post Christmas flurry of activity at TMC Travel - The Mouse Connection. Now that the New Year has been officially rung in, I guess everyone is ready to look forward to spring and summer vacation plans - or even a quick Florida get away to beat the winter doldrums! 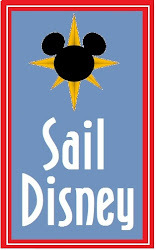 I would love you help you plan your next vacation to Disney or even a Disney Cruise. (I must admit that I spent the weekend drooling over the new Disney Dream - whose maiden voyage sets sail this month!) We offer the same rates and prices that you find on Disney's own website. We also offer free gifts and lots of little extras to help make your trip even better. Best of all, our services are free! There is no fee (hidden or otherwise) for us to help you plan you next Disney vacation. So where do you start? If you have a flexible schedule, I always say "Start with the discounts!" To that end, Disney has just announed even more great discounts, including a Kids Stay and Play Free Deal for many dates through October1st. 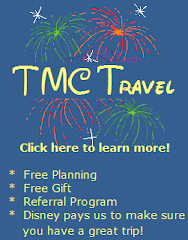 Be sure to check them out, and give me a call or send me an email at ginger@tmctravelonline.com if I can help! Discounted rate is available most nights 2/17/11 - 4/16/11. All discounts are subject to availability, certain restrictions apply; including a minimum length of stay requirement for Friday or Saturday arrivals.The room inventory for this offer is limited. This offer excludes suites and 3-bedroom villas. Save up to 40% off the non-discounted price when booking a room at Walt Disney World for stays select 4/28/11 – 10/1/11. All discounts are subject to availability, certain restrictions apply; including a minimum length of stay requirement for Friday or Saturday arrivals. The room inventory for this offer is limited. Purchase a 4-night, 4-day Magic Your Way Package that includes room and park tickets, kids age 3-9 stay free and get a free 4-day park ticket! Valid for stays most nights 2/17/11-4/16/11. Must book by 2/13/11. Valid for stays most nights 4/28/11-6/14/11. Must book by 3/27/11. Valid for stays most nights 8/14/11-10/1/11. Must book by 3/27/11. All discounts are subject to availability, certain restrictions apply; including a 3 night minimum length of stay requirement. Free ticket is for admission to one park per day, but may be upgraded to a Park Hopper for a fee. The room inventory for this offer is limited.